moonshine.media » Angels? I think not. That famous musing by Dr David Livingstone, after viewing the world’s largest waterfall in full spate, is not an opinion shared by Dominique le Roux. Views of Victoria Falls, one of the Seven Wonders of the Natural World, have me thinking of dark and powerful forces. Richly dark ones. Of African Mother Earth. No twee little golden cherubs here. This is no light touch. This is the largest curtain of falling water on earth. It is powerful and primeval and potently cathartic. It has me thinking not of sublime creatures of light, but of older more solid stuff. Not the skies but the ground. Of mud between my toes, water on my skin, thunder in my ears and a smile throughout my being. The Scotsman, in typical colonial fashion, named the site after his queen. 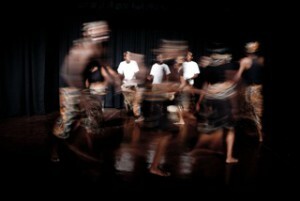 The local Zambian tribes of course already had a name for them: Musi-oa–Tunya, “The Smoke that Thunders”. I have my own opinions on that too. The thunder I agree with. The smoke, however, is debatable. When I visit, it’s rain, pure and simple. A thunder shower, in fact. And, like in a shower, you should get wet to the skin, I reckon. You should get drenched, soaked, washed in it. You should take off your shoes, you should feel the water and the air and the elements. And your heart should sing. Standing drenched on the cliffs opposite, you’re finally ready to consider the view. It all seems to be about lines. Vertical ones. Down, down, down. Over 100m down, in fact. That’s what you first look for; you look at the Falls and the falling. All those drops of water descending, making a vertical plummet line. But there are so many up lines too. All that rain, for example, flying upwards past your face. All those billowing clouds of pure wetness shooting skyward, anywhere from 400m and more upward, and then suddenly having a change of heart and falling down in great big drops on your head, down your neck, through your cleavage, soaking your underwear and every part of your being. I get back to the vehicle, and the driver says “You have been born again.” And it’s true. Born again and baptized. By full immersion, in fact. Like so many others, it was from the Zimbabwean side that I had first viewed the only waterfall that has consistently been placed amongst the Seven Wonders of the Natural World. And like so many others, once was not enough. It’s a sight (and a site) that fills your soul with awe. But my soul needed replenishing. I had to go back. Viewing those Falls that first time had been so memorable, but I had felt somehow that there was more. That somehow this was only the proverbial tip of the iceberg. That More is on the Zambian side. 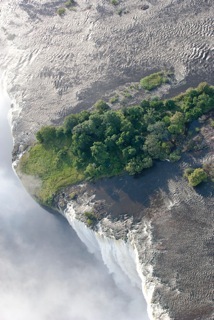 The Victoria Falls is over 1.7km in width, and 1.2 of those kilometres are within Zambia. From that side, you stroll from the Eastern Cataract, and you keep strolling and keep walking, stopping all along at viewing points, and somehow it keeps going on and on and on. And then there is still more. As I walk, happily drenched, I look at some of the Bucket Listers that I pass, and realise this is further than they have walked in a while, and on slippery drenched earth at that. But who can resist? Livingstone, I subsequently learn, was intended to be one of the great cities of Africa. That railway line that, according to Cecil John Rhodes’ dream, would penetrate the dark heart of the continent, going from Cape Town to Johannesburg and all the way to Cairo, would take a sharp turn at Bulawayo towards what is now Livingstone so that the spray of the Falls could soak the carriages on the bridge and the souls within them. The line was built at the incredible rate of a mile a day, and the bridge was a feat of engineering. In fact, modern day civil engineers still regard it as one of the engineering marvels of the world. Livingstone, of course, became the destination of choice for the it crowd of the time. And how better to measure that popularity than in royal visits? Old King George V had six children. Five of them visited Livingstone. Or in international sporting events? This town was the site of the 1910 Sculling Champs. And it was here that Richie Benault took nine wickets in the Australia v Northern Rhodesia cricket match. Northern Rhodesia remains the only country in the world to remain unbeaten by the Australian cricket side. Or in the presence of filmstars and celebs? It was the venue of choice for the likes of Alfred Hitchcock, Danny Kaye and Richard Chamberlain. Sharon Stone and Clint Eastwood came to make movies here. Elizabeth Taylor and Richard Burton too. Oh, and of course Arnold Schwarzenegger and Southern Africa’s own Charlize Theron. Ewan McGregor slipped through unnoticed… But somewhere along the line, Livingstone too slipped into obscurity, a dusty little village hardly noticed, with all the attention on the media darling across the waters on the Zimbabwean side. So what IS the deal here? When my gushings about Livingstone are picked up on Facebook, my friends ask me what on earth I’m doing in Zambia. My explanation about the unremitting attraction to this Seventh Wonder draws blanks and incomprehension: “Aren’t the Victoria Falls in Zimbabwe?” How on earth did the neighbours pull off such a brilliant coup? So, let’s get this straight: The Victoria Falls is on the international border between Zimbabwe and Zambia, the Zambezi River. Livingstone viewed the Falls from the Zambian side, from what is now Livingstone Island. The problem of course is that, towards the end of the 20th Century, the town of Victoria Falls became the one with the glamour, the cushy lodges, and all the adrenalin and action. Livingstone, on the other side, was a dusty little siding with a forgotten history. But, folks, that was then. This is the 21st Century. Now Livingstone’s the world class destination with the awards, the stylish lodges, the High Tea, the action, the glamour, and the ubiquitous modern shopping centres. Livingstone’s the place where the new IT crowd goes, while those who don’t know better, or whose budgets mean they can’t truly travel with any kind of ease, are relegated to the Zim side. 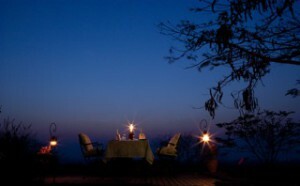 What really sets Livingstone apart — what makes it unique — is the combination of a truly African experience, with those close-up-and-powerful views of the Victoria Falls and the surrounding area’s wildlife, all in the context of the widest range of accommodation and activities. An iconic symbol of this revitalised Livingstone is the old Capitol Theatre. Built at a time when Livingstone was the capital of the country, its 350 velvet seats bore those of elegance and passion. Today you’ll still find the Harrington box, where one man booked the whole place out to counter criticism of his having married an ‘African’. He was not averse to a good fight, however: there was that one occasion when he took out his handgun and shot the image of Hitler on the news bulletin. Today the action’s in the form of English Premier League football. “There’s much dancing and shouting and jumping up onto the stage to celebrate goals,” explains Peter Jones, restorer of the Capitol Theatre and de facto historian of the town. To my mind, Jones perfectly represents this merging of historic and modern. His lodge, The River Club, was originally a humble farm. Now he celebrates the royal visitors and grand tennis games of yesteryear and relates the stories of scandal and glamour. But the lodge features in the coolest mags. 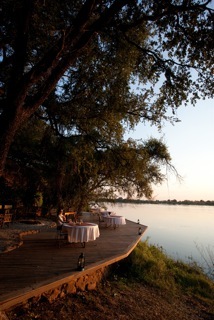 The River Club wins best this, most stylish that in international awards. Four times now he’s brought Oxford and Cambridge rowing teams to compete against South Africa’s best. 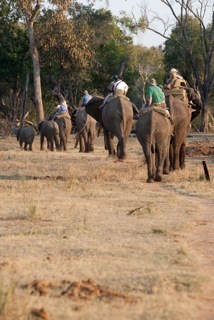 Wildlife, of course, interrupts play, like those 27 elephants that swam across the path of the Cambridge team in 2005. What better illustration could there be of this town’s unique combination of world class activity with superb wildlife viewing? 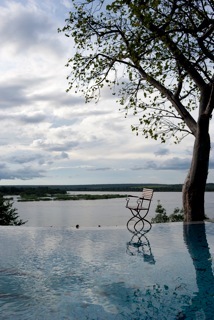 “Livingstone is transformed,” says Russell Young of Maramba River Lodge, the oldest in the area. “Fifteen years ago it was a grotty, dirty, terrible place.” Livingstone now has helicopters and microlights to fly you over the Falls in impeccable style. Sunset cruises in luxury, with snacky bits and starched barmen who point out the trees and crocs and interesting birds. Italian and Indian and Chinese and French and American-styled restaurants. 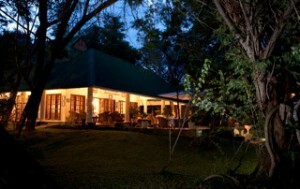 Pubs and clubs, lodges, backpackers, jewellery stores, movie theatres and every kind of adrenalin-pumping activity. And still Chief Mukuni down the drag, looking like a movie star in his Lion King poster over the main road. Livingstone, you see, is where there is still both glamour and the reality of life lived in the elements. Where high water right now is causing flooding and the temporary closure of the white water rafting operation, where in 1925 Prince Edward of Wales was having such a good time at the dance, he demanded the clocks be set back an hour so as to avoid the curfew; where the golf club just three years ago was little but roofless walls and a goat track but after 40 years has been restored to a beautiful 18 hole course. Where you look down the bustling main street and see a tall and inspiring cloud that is actually the smoke that thunders. Where you gape in wonder at the powerful and primeval scenes so lovely that must have been touched by angels in their flight. All photographs by Owen Middleton. 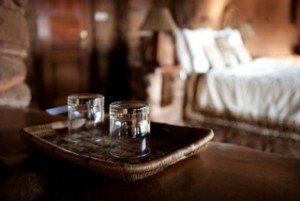 For comprehensive accommodation and activity listings, please see www.livingstonetourism.com.